The time to treat yourself to a new watch has finally come, and you’ve started to take a look at your various options. Shortly after the hunt begins, you’ll surely notice the fact that while many watches will fall into the same price range as a modern Rolex, few will feel as well crafted and solid on the wrist, and it’s no coincidence by any means. In recent years, the brand has spent a great deal of time on conducting advanced research and development in order to improve the overall fit and finish of their offerings, and by incorporating a number of subtle, and often overlooked details into their watches, they’re afforded an unmistakable, high-quality nature. Let’s now take a look at the thoughtful details and distinct finishing touches that truly make a Rolex, a Rolex. The Submariner is a classic Rolex watch. As the countless vintage sports models being collected today will indicate, Rolex has always engineered their watches to stand the test of time, but like any sensible watchmaker, they’ve placed a strong emphasis on innovation. Up until 1985, the brand’s steel watches were produced using an alloy known as 304L, and later on 316L, which brought better protection against corrosion. While these two alloys both served their purpose adequately, Rolex still saw room for improvement, thus creating a new alloy of stainless steel known as 904L. Along with its increased anti-corrosive properties, 904L steel is also revered for how it can be polished to a mirror finish but still remain highly resistant to the common scratches and swirls that would typically come as a result of daily wear. Today, all of Rolex’s steel watches are manufactured using 904L, ensuring both structural and aesthetic longevity. Rolex Submariner with a beautiful bevel. One of the most iconic characteristics of the Submariner and GMT Master’s of years past are their aluminum bezel inserts, many of which have faded quite nicely to pleasing shades of blue, fuchsia, and “ghost” grey over the years. 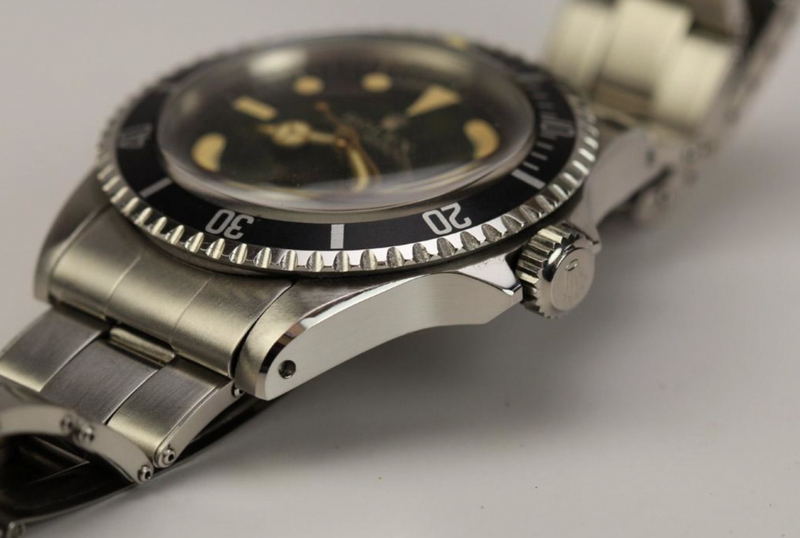 Although collectors of vintage watches might appreciate the fading qualities of these older bezel inserts, Rolex saw this as a flaw in their product, and went on to release new Submariner and GMT Master references fitted with their “Cerachrom” bezels. This patented ceramic material is both extremely scratch resistant, and unaffected by years of sun exposure, which helps in guaranteeing “lasting beauty and functionality”. Additionally, it’s also worth noting that after being engraved, the bezel numerals are PVD-coated with a thin layer of platinum dust, which helps improve legibility. 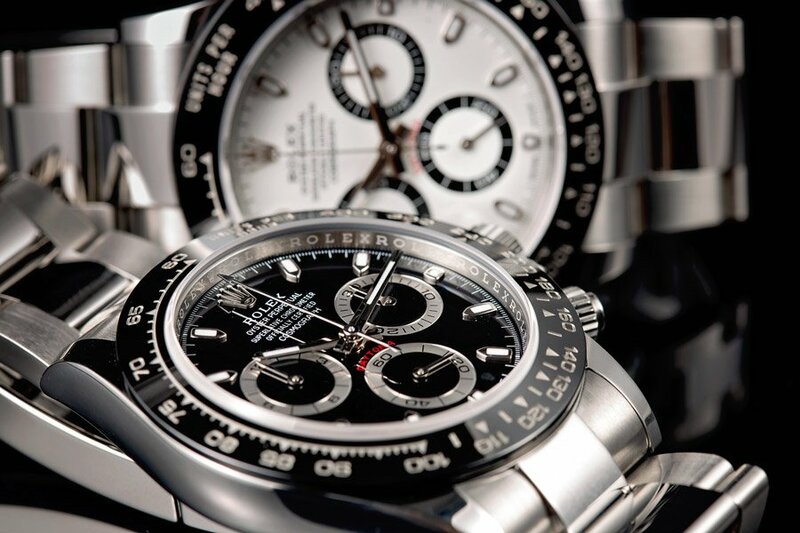 The Daytona 116500 is a watch where the demand overpowers the supply. If you take a look at the older Rolex dials of the 1960’s and 1970’s, you’ll notice that luminous compound was often applied directly to the surface of the dial. While this did indeed get the job done just fine in most cases, the brand sought out a more refined way to ensure legibility in the dark, that eliminated the possibility of lume flaking throughout the years. Consequently, Rolex began producing their watches with small metal “surrounds” in the mid 1980’s (made of white gold, no less) to mark the hours, that in addition to improving the structural integrity of the luminous plots, added a dash of elegance to an otherwise spartan line of wristwatches. This was one of the first steps Rolex took in making their watches more luxurious feeling overall. 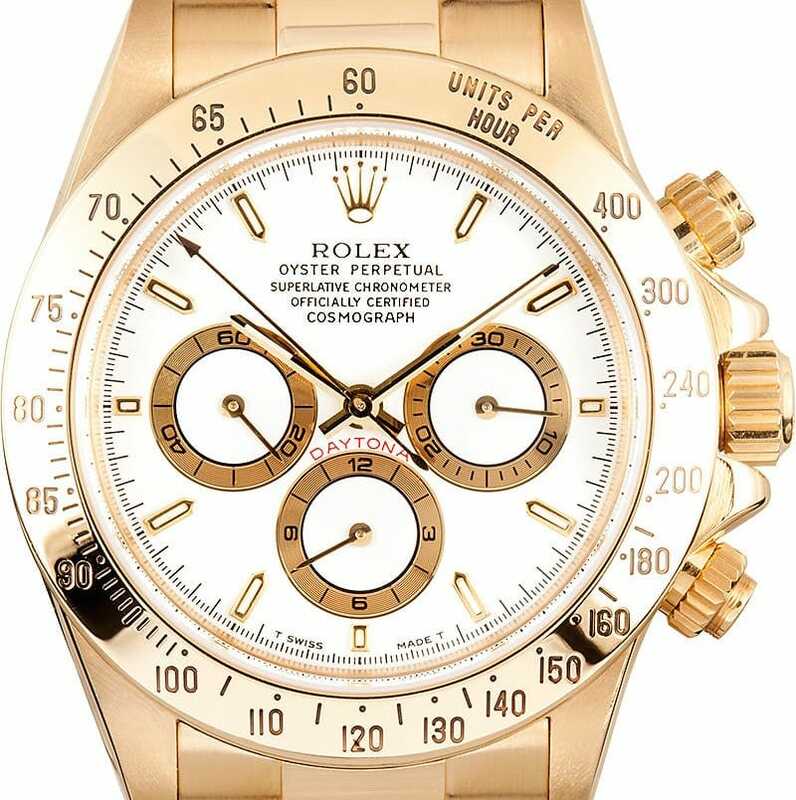 A yellow gold Daytona with a white dial which features surrounds. 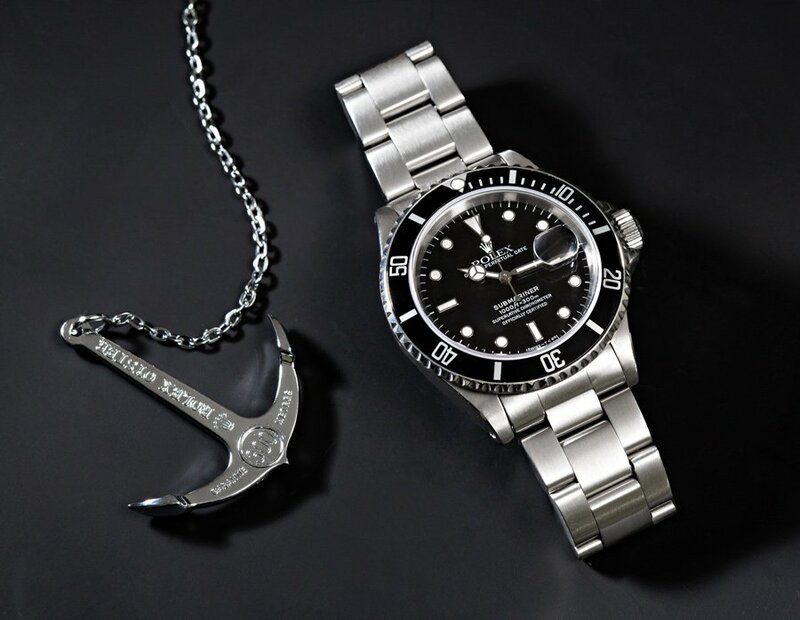 Rolex is well aware of the fact that regardless of how well a case, bracelet, or any exterior component is engineered, a watch is only as good as the movement that beats within it. Since the earliest days of the brand, they’ve been producing true workhorse movements that are guaranteed to run accurately for many years to come, and with recent technological developments in the horological field, Rolex has been able to make their watches even more reliable — namely through the use of the patented Parachrom hairspring, made of niobium and zirconium. Since its introduction in 2005, this blue coloured hairspring has been praised for antimagnetic properties, which makes it exceedingly resistant to external magnetic forces that could potentially harm the movement.